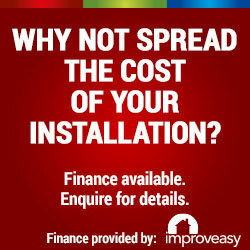 A newly built Integra has the potential to quickly become the most popular room in the house. A light and airy space – the perfect place to relax with a coffee and enjoy views of your garden whatever the weather. Boasting fully framed picture windows with deep recesses, Integra conveys a substantial and well-built internal appearance which is quite unlike a conventional conservatory style extension. 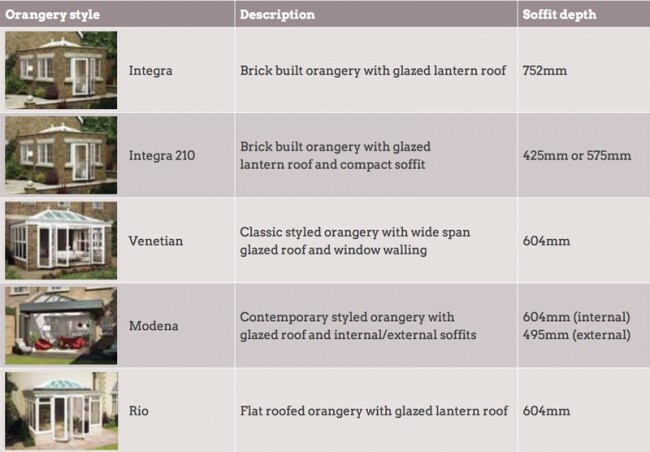 A deeply dimensioned orangery soffit runs right around the perimeter and creates a highly satisfying sense of permanence. Integra’s insulated soffit is an impressive 752mm deep, which gives ample room for positioning downlighters or audio speakers. 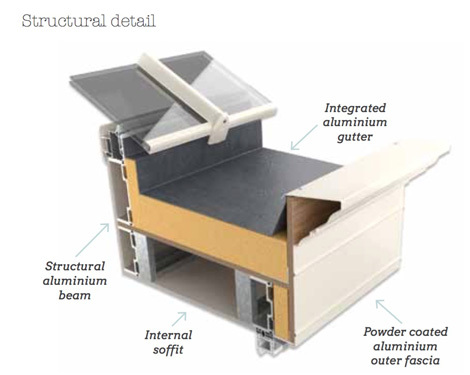 A compact Integra design isalso available with a smaller 425mm or 575mm soffit. 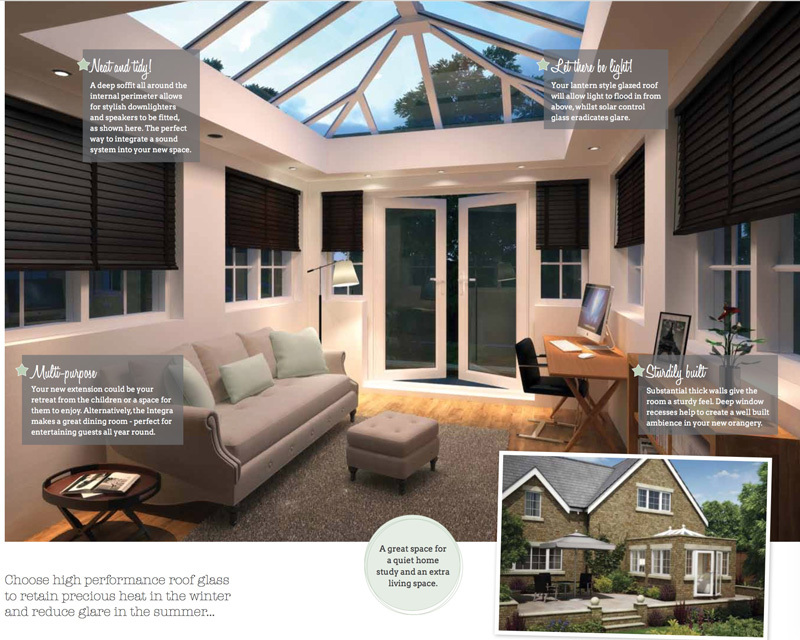 Available with both low E coatings for enhanced thermal efficiency and tinted coatings for solar control, high performance glass can increase comfort to ensure you enjoy your orangery all year round. and grow exotic fruits and plants, orangeries evolved into symbols of wealth and status. 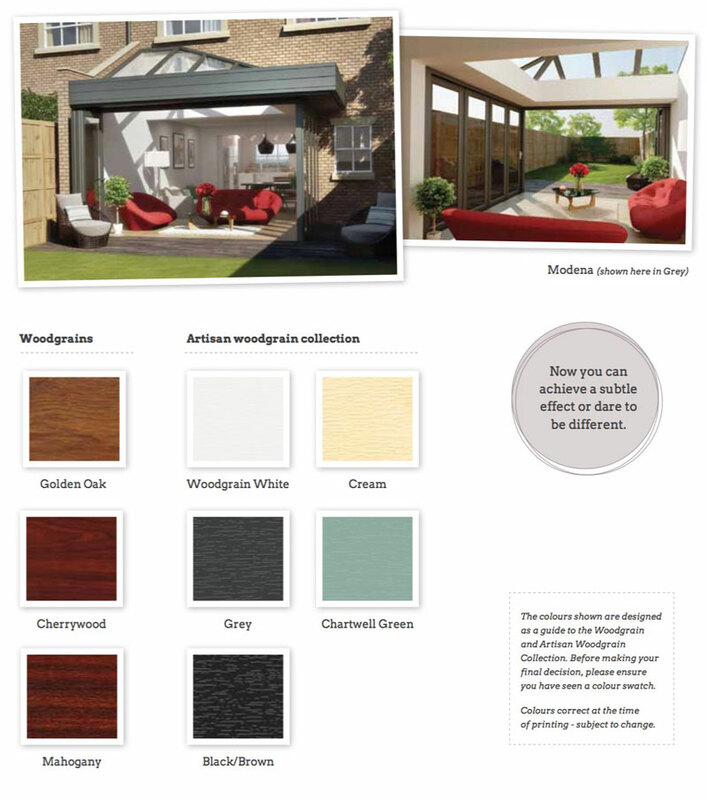 Nowadays they provide beautiful and stylish alternatives to traditional conservatory extensions. or even traditional brickwork to customise your design. 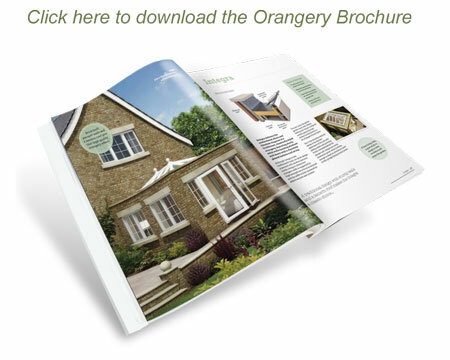 the full width of the extension and the very latest materials and construction methods are used to create a stunning orangery. 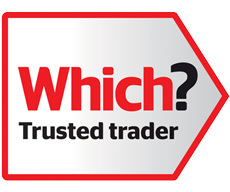 On the outside, an attractive orangery fascia conceals the roof guttering, and matching decorative aluminium hoppers can embellish the rainwater downpipes (see p28). 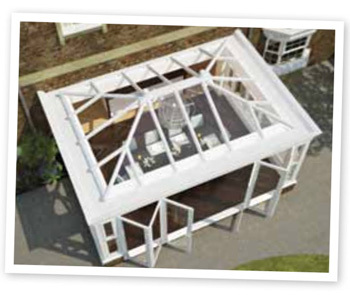 On the inside, Venetian’s impressive orangery soffit is fully insulated for added warmth and comfort. 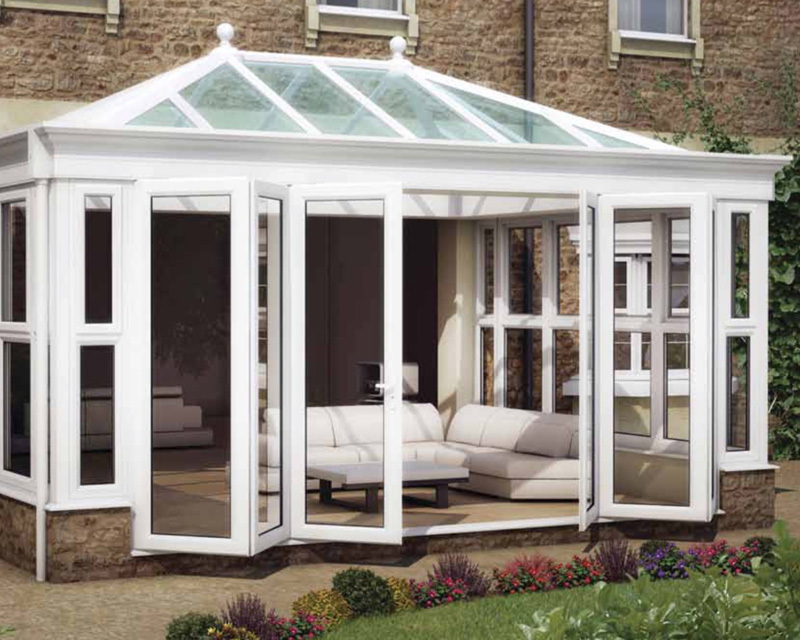 Viewed from the garden, you will see a beautifully styled orangery with a stunning wide span glazed lantern roof. The result is a stylish, light and airy space perfect for entertaining your family and friends all year round. 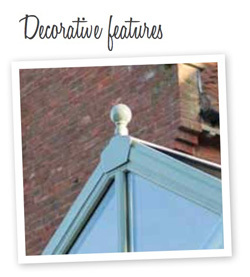 Our classic ball finial provides an elegant focal point to finish off the roof in style. 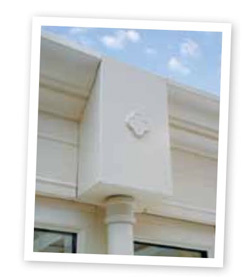 our decorative aluminium hopper adds a suitable flourish to dress rainwater downpipes.